On Sunday, March 12th, we'll spring forward an hour, getting even closer to the official kick off of spring. 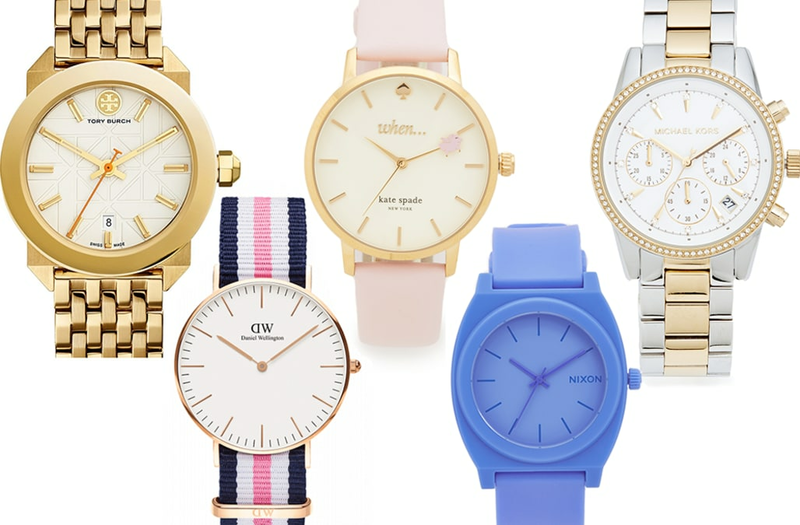 We want you to be 100% on time for all the rainy, flower-filled, warm afternoons ahead, so we went on a hunt for watches that are chic, pretty, even quirky -- the best timepieces on the market right now. Below, you'll find watches that fit any budget, and any style. But they're all perfect for spring. Why *not* have a collection of watches and wear a different one based on your mood?